You have the option of ordering a 16" Welcome hanger w/dowel on which to hang your finished product. We will ship it with your last block. 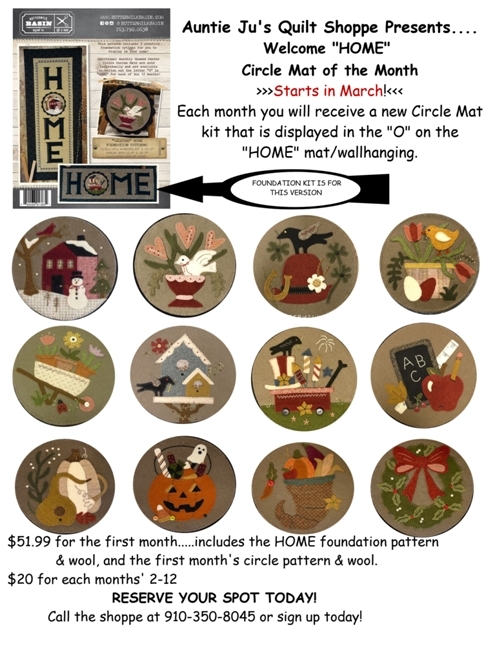 Click the button below to add the Block of the Month - H O M E banner to your wish list.